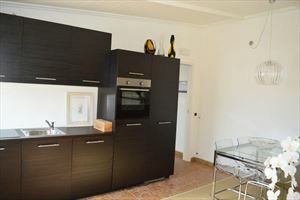 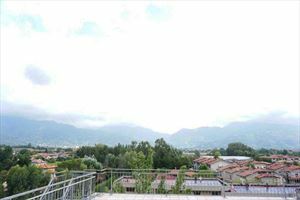 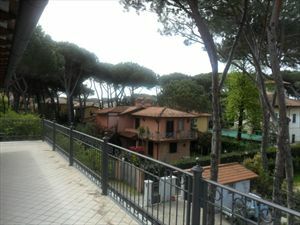 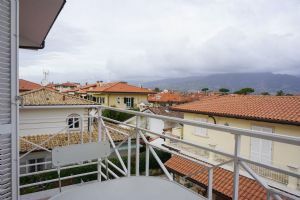 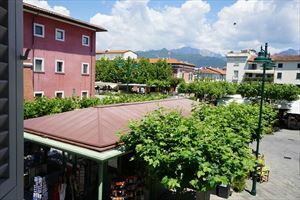 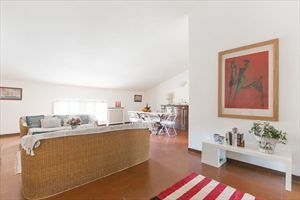 Celeste apartment is a fine real estate for rent in the center of Forte dei Marmi and close to the sea. 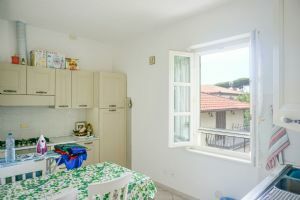 It is a luxurious apartment with important fixtures and fittings assembled in bright rooms paneled in marble and equipped with modern elegance with superior fittings. 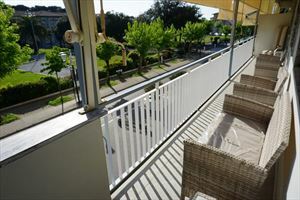 This apartment is built on a unique second floor, features a beautiful covered veranda for outdoor dining use. 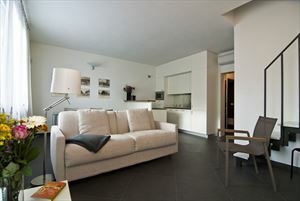 In its interior has large bright spaces where the white, which is the dominant color, combined with the blue sofa and wall tiles. 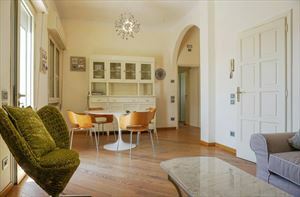 Property is developed on a large living room, sitting room, dining room, 2 bathrooms. 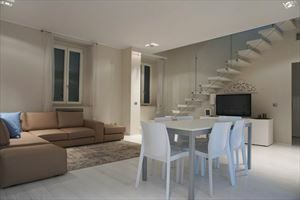 Equipped with 3 double bedrooms well furnished.